Looking for the perfect tie to match your bridesmaids? 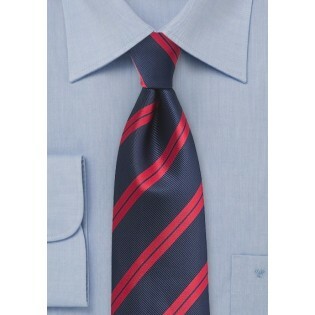 Try this trendy repp tie in reds and blues for a modern take on a classic look. It is sure to pull your whole wedding party together, and leave the day with a lasting glimmer of stylish elegance. Made from tough microfiber this tie will definitely last all night, through the groovy dance moves, cake smudges, and champagne toasts. 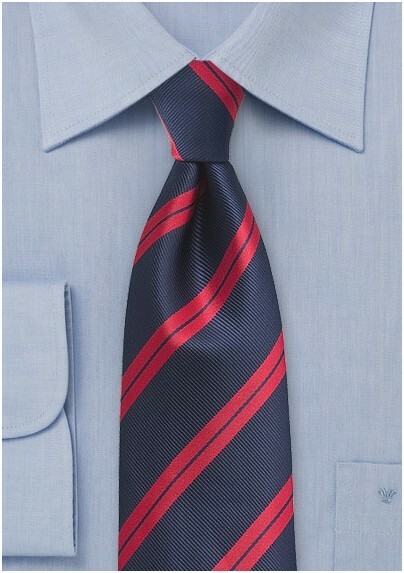 Versatile in it's pairing options, this tie will add a pop of color while not being too loud.